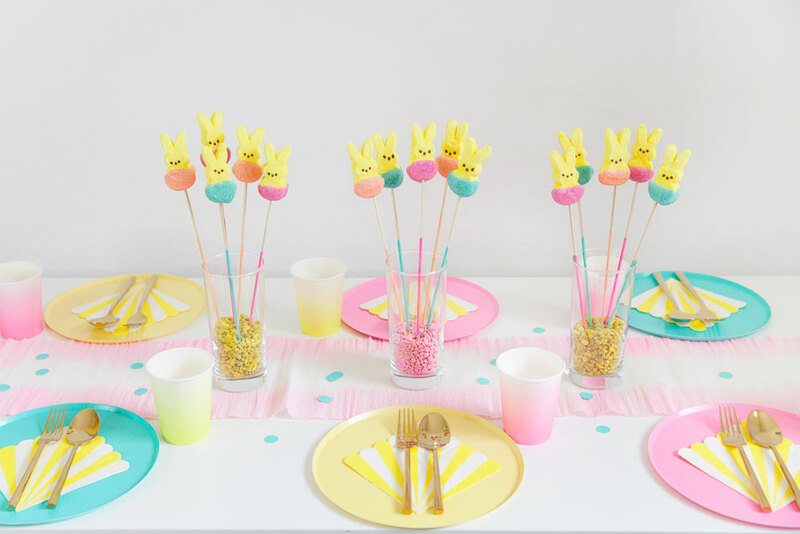 If you had to name the most iconic Easter candy it would have to be Peeps, am I right?? I love everything about these delicious sugar coated marshmallows. One they are the cutest, two they complete all Easter baskets and three they are soooooo yummy. My love for peeps runs deep you guys and so I had to create these fun DIY multicolored ones. They are even MORE festive, if that was even possible, and the perfect table decor. Either way they are a must try. 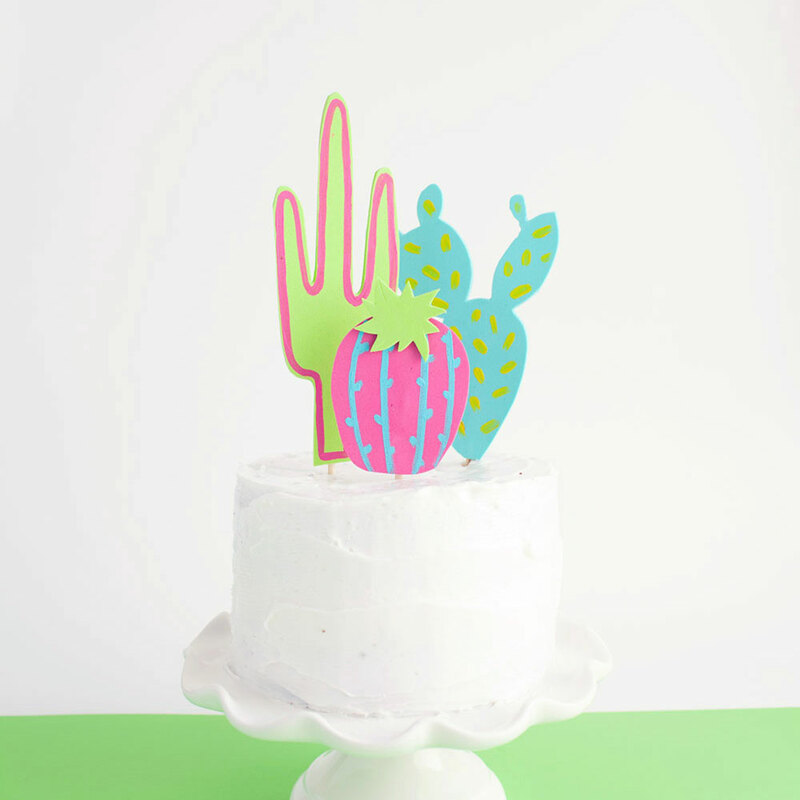 I am also sharing my most favorite new baking supply…but for real its VERY cool. 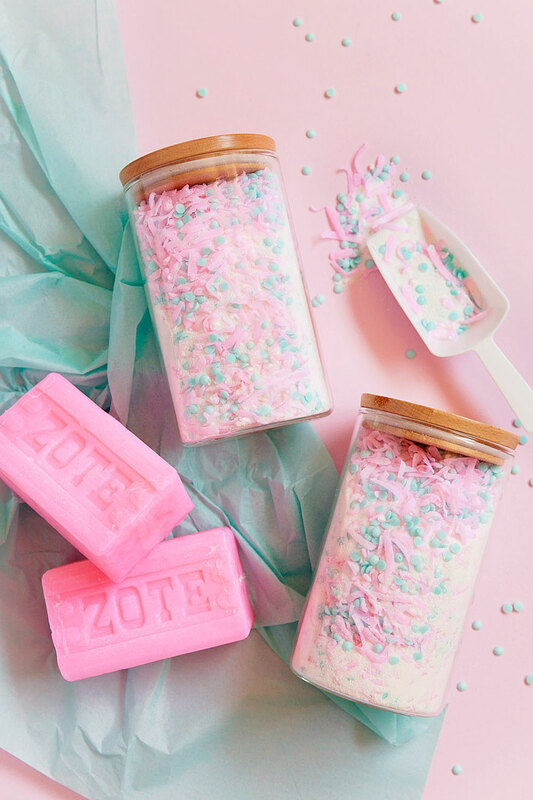 Read all about the DIY below. 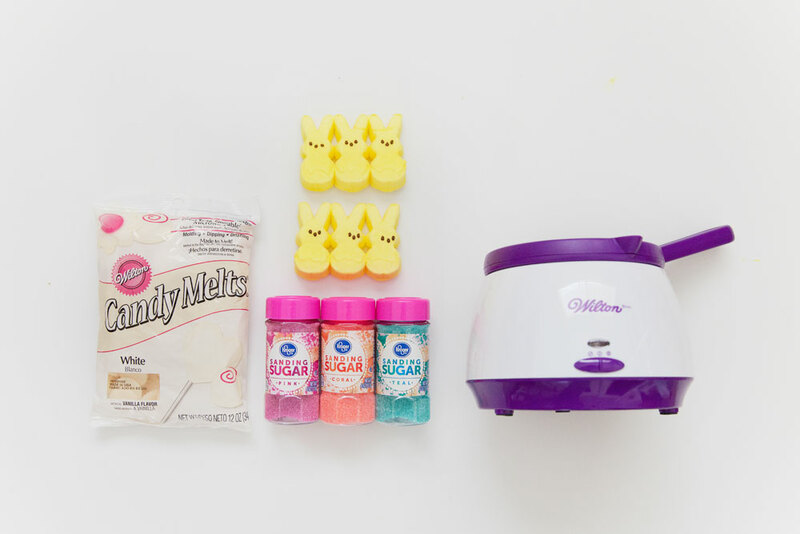 Ok I have to rave for a while about the Wilton Candy Melt Pot. You GUYS!! It’s pretty amazing! First off I have forever sucked at melting candy melts. They are always too chunky or I over heat it and then it gets all weird. Or they create the most insane mess and I end up just being frustrated. This pot changes it ALL! It heats the melts to the perfect temperature and the pot itself is silicone so once you are done, you turn it off, let the candy melts harden and pop them out of the pot! Just like that. 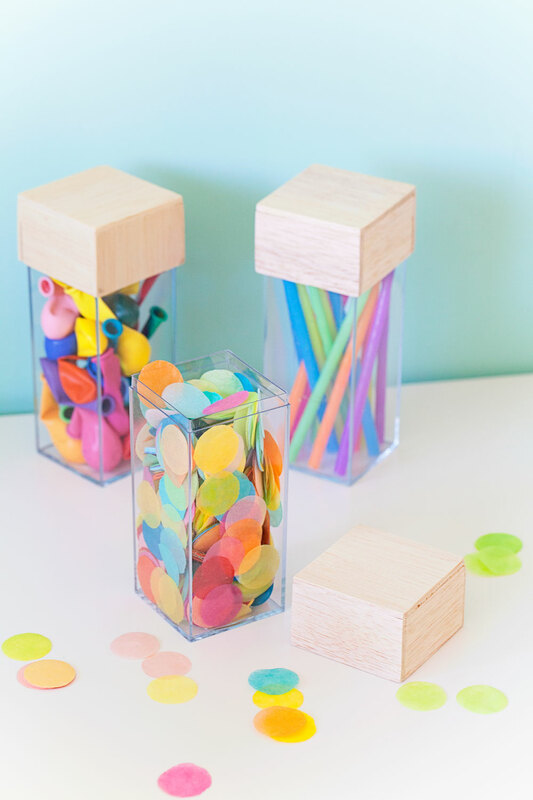 No mess AND you can reuse the candy melts. Its kind of a dream. If you don’t believe me and need to see to believe ha ha you can watch this youtube video. Its sold me guys. 1. Melt your candy melts in your fancy new pot (ha ha). 2. 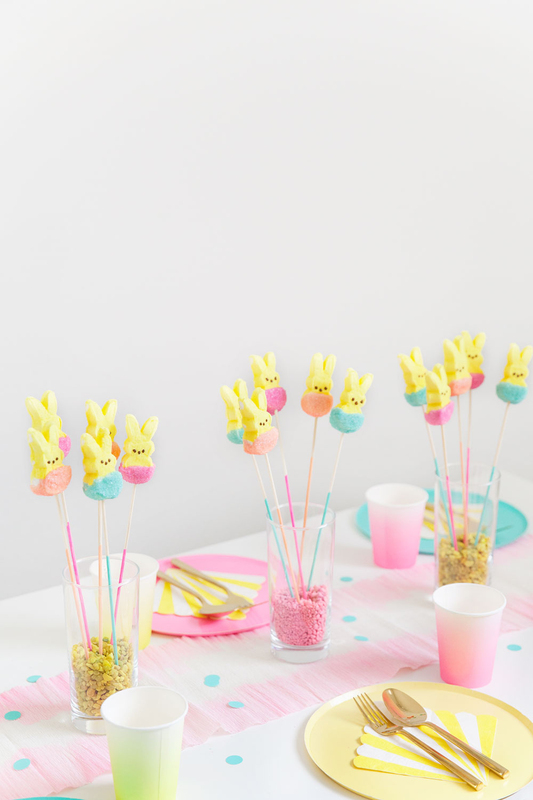 Take your peeps and dip them half way into the pot so that just their bottom half are covered in the candy melts. 3. 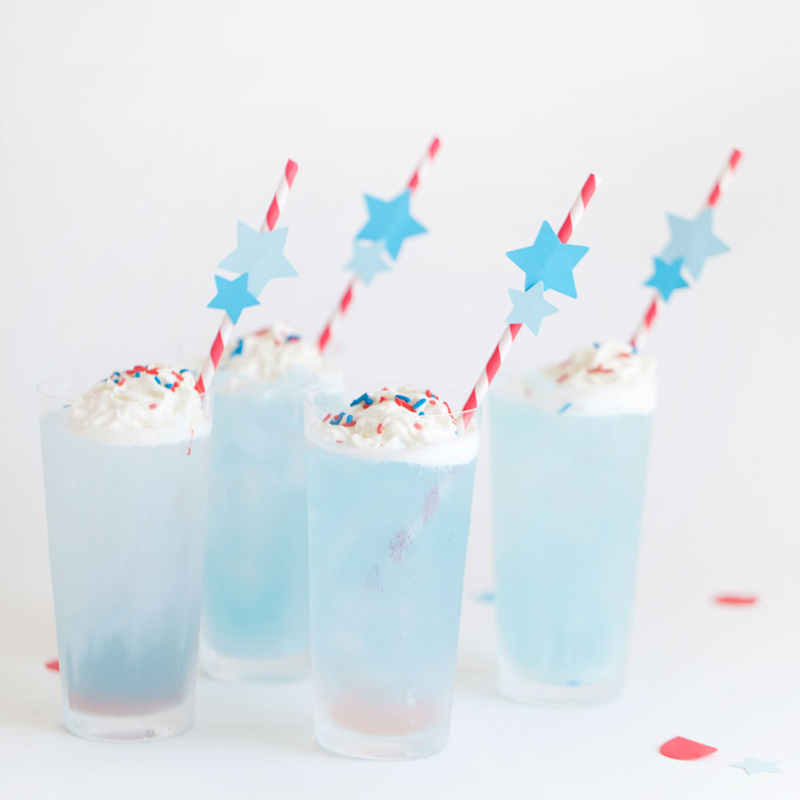 Dip them in the sugar sprinkles and set to dry. 5. 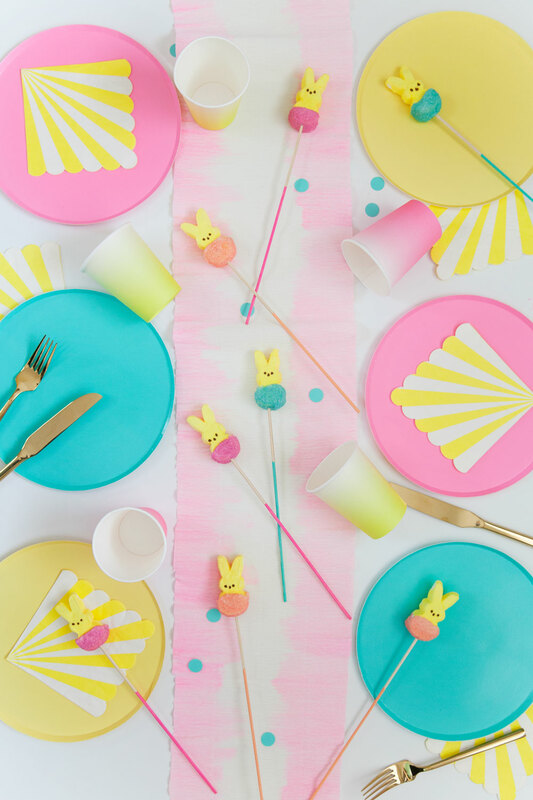 Once on the skewers you can paint the bottom fun colors to match which makes them EXTRA fun for Easter decor. Now get dipping! 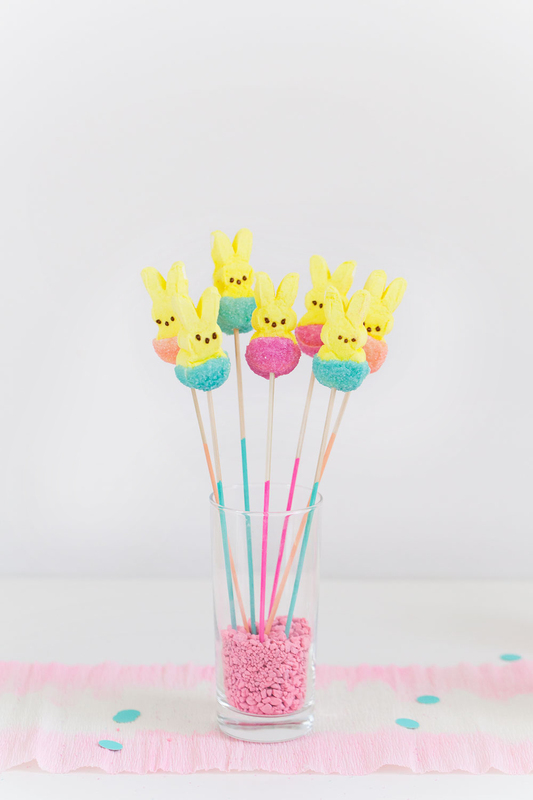 These multicolored peeps are so yummy and adorable and those are the two criteria for all my treats.